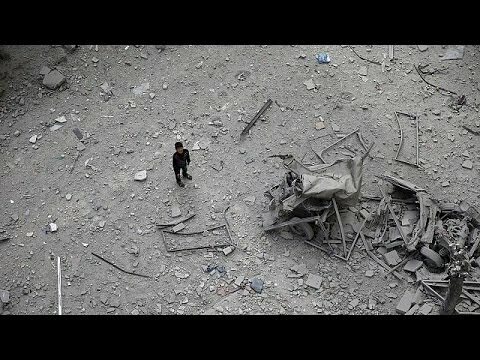 Kerry warns of break up of Syria; but is that Realistic? The ‘cessation of hostilities’ worked out by diplomats has little chance of succeeding on the ground. It excludes Daesh (ISIL, ISIS) and al-Qaeda, two of the major forces engaging in combat, and the remnants of the Free Syrian Army often have battlefield alliances of convenience with al-Qaeda. Those in besieged East Aleppo have allegedly begun cooperating with Daesh against the regime, a big change on the ground since earlier they had helped the US target Daesh. Russia and the regime could only demonstrate their bona fides in this ceasefire by agreeing to dicker with the rebels in East Aleppo and by allowing humanitarian aid into that half of the city. If they make a full court press to take it (at which point they will have won the war for all intents and purposes), then the agreement will obviously fall apart. It would be in Russia’s interest to dicker with the Free Syrian Army groups in Aleppo and to try to bring them into the elections now scheduled for April. While Russia might be able to bomb them into submission for the moment, likely a sullen and subdued population that had won its freedom from the sordid Syrian police state would go on mounting underground resistance into the future. A fragile reconstituted state, similar to what has happened in Algeria, could be one outcome of such a situation. Another possible scenario would be Afghanistan, where the central government is just very weak in some provinces and constantly battling insurgents in a low-intensity conflict. A break-up of Syria, however, on a South Sudan model, seems unlikely to me. What would be the territory involved in such a break-up? In the far east, the Kurds now have most of Hasaka province, along with some local Arab allies. In the medium term, the Syrian Kurds need allies against Daesh and need to guard against a forceful Turkish intervention They know Turkey would not put up with an independent Syrian Kurdistan, and say they want a postwar federal system a la Canada. They sometimes cooperate with regime forces against Daesh. For all of Ankara’s fears about this northeast tip of Syria breaking off, I don’t think that’s what local actors actually have in mind. The regime has reconquered northern and western Latakia. It has most of Hama and Homs, and certainly the big urban populations, though there are eastern pockets of resistance in smaller villages. It has most of Damascus province. Freemen of Syria and Army of Islam Salafi jihadis north and west of Damascus have been pushed back. In the far south and the far north, the regime still faces serious challenges. In the north, Idlib is in the hands of an al-Qaeda-led coalition. East Aleppo is in the hands of a mix of Free Syrian Army factions, along with some al-Qaeda. Raqqa and Deir al-Zur provinces in the east of the country are Daesh territory. Daesh won’t be allowed to keep them. Eventually the Iraqi government will take back Mosul, isolating the small city of Raqqa and cutting off any aid or money from Iraq. Already last weekend Sunni clansmen in Fallujah staged a rebellion against Daesh. Could Syrian Daesh lands fall to other Sunni factions? Maybe, but the best fighters among them are al-Qaeda. Al-Qaeda won’t be allowed to take these towns from Daesh (or in some instances, back from Daesh). Russia and Iran can and will prevent this outcome, and nor would NATO or Baghdad or Erbil want it. Suwayda, Deraa and the Golan Heights in the far south are in the hands of a mix of factions, including al-Qaeda. What is likely to happen if things go on as they have been for the past two months is that the regime will take East Aleppo militarily. (As I said, I think that would be a mistake, not to mention horrible for its people, but that is where things are going). If Aleppo falls to al-Assad’s forces, and he keeps control in Latakia, then Idlib becomes an isolated Army of Conquest enclave, cut off from eastern, western and southern supply routes and solely dependent on Turkey; and likely will also fall. The southern opposition is in easy reach of the capital’s crack troops and would be unlikely to be able to hold out if Aleppo and Idlib fall. If al-Qaeda and Daesh are defeated on the battleground and deprived of territory, it is true, they could devolve into terrorist organizations again. But that pathway does not lead to a break up of Syria. In short, I think that the geography, military logistics, and trade and other routes in Syria all tell in favor of a unified victor in the war. It was never likely to be Daesh or al-Qaeda, given the religious and ethnic diversity in Syria (I figure about 60 percent of Syrians are Sunni Muslims, and over half of them are secular-minded people who are siding with the regime against the hard line theocrats). Had Russia not intervened last fall, then a partition might well have occurred. But now it seems that the momentum is on the side of Restoration, however horrible that outcome is (and I wouldn’t have believed it, but it is a slightly less horrible outcome than the worst of what could have happened, i.e. a Daesh or al-Qaeda takeover of Syria). So I think Kerry is bluffing when he speaks of partition. He is just trying to get the regime to make peace with the remnants of the Free Syrian Army, which is in fact the best road forward for Syria. We have had enough, in the Middle East, of the anti-Mandelas who reject reconciliation and insist on total victory and vicious reprisals. That path just ensures violence and turmoil into the next decades.